Revelling in as much quirk as is cinematically possible and throwing kids into the mix on a road trip film certainly worked well for Little Miss Sunshine. And to a degree, large parts of it are reused in Captain Fantastic, screenplay and director Matt Ross' film. Starring Viggo Mortensen as Ben, it's the story of how his brood, who live life off the grid in the woods are forced into the wilds of American civilisation when Ben's wife kills herself. Deciding to gather up the clan and go and rescue her from the horrors of a Christian funeral as per her own wishes, Ben throws his brood onto the bus (named Steve) and sets out on their mission. Embracing its anarcho-survivalist and pseudo intellectual edges, Captain Fantastic manages to pack in a great deal of humour at the idea of kids trotting out offbeat mantras, from celebrating Noam Chomsky's birthday instead of Christmas and from just generally mining unexpected language from young children's mouthes. And while Mortensen shines, imbuing Ben with both a sensitivity of belief and a deep love for wanting what he believes best for all, the script's over-reliance on reaction shots to those encountering Ben and his brood for the first time begins to ultimately grate as the road trip moves from point-to-point with nary any reality within. It serves as a vehicle to pour commentary on America's current obsessions - and indeed a billboard with "Is it immigration or is it invasion" on it feels scarily timely as they rumble toward a Trump-fuelled election. 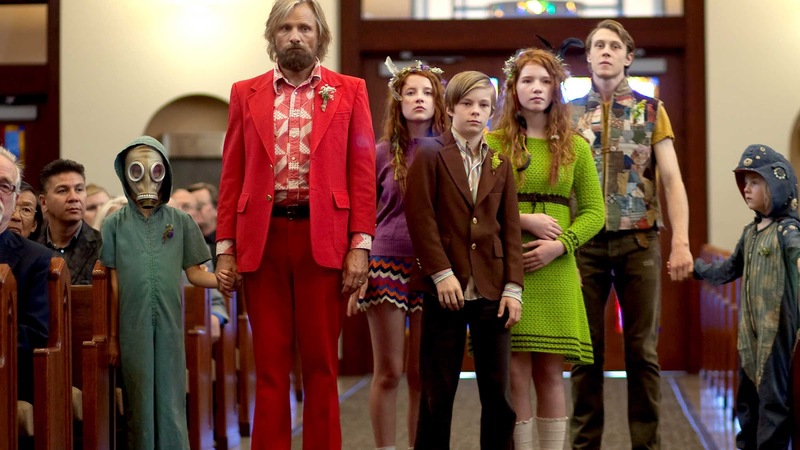 But when Captain Fantastic lays off the twee quirk and the indoctrination of a doomsday preppers type ethos, it tries desperately - and inevitably - to inject drama and conflict from Ben's beliefs and others' objections to them. It doesn't always work, simply because the film's solely (and perhaps understandably) on Ben's side (and ultimately the audience as well) and never wants to offer any kind of alternative. The conflict in the last third of the film with Frank Langella's reasoned father in law seems shoe horned in and unable to allow any consequence to flow; loosely, the father in law wants custody of the children out of anger for what's happened and this narrative thread simply melts away out of convenience rather than from resolution. And a thread over a son's desire to go to college or another's rebellion are given meat early on but don't amount to anything when faced with the love of their father. It's maddening to say the least, given how wonderfully shot and crowd-pleasing the whole thing is - thankfully, it's helmed by Mortensen's turn as Ben, and when he delivers a eulogy and has his inevitable long dark night of the soul, there's a real poignancy to the moral struggle within - and that's solely testament to Mortensen's presence on the screen. Otherwise, this culture clash dramedy feels like a hollow experience that revels in its absurdity and trades on a caricature of happy / sad to achieve its emotionally manipulative aims.